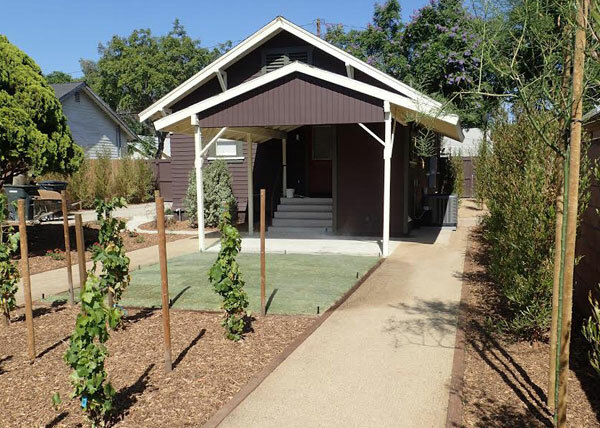 At this residence in Orange, CA, D F Landscape planted fruit trees and purple hopseed. 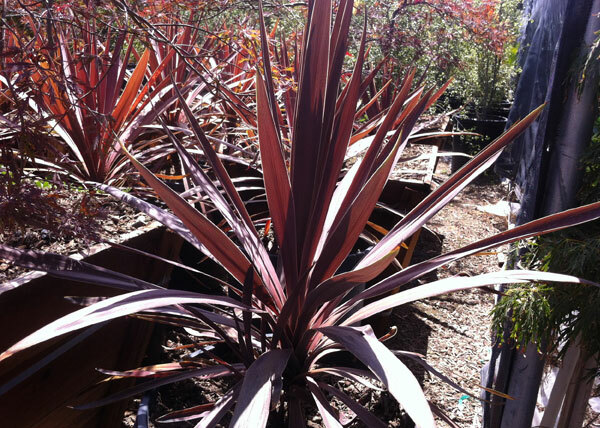 Fruit trees, blue agave, agave attenuata, and sticks on fire were planted at this residence in Orange, CA. 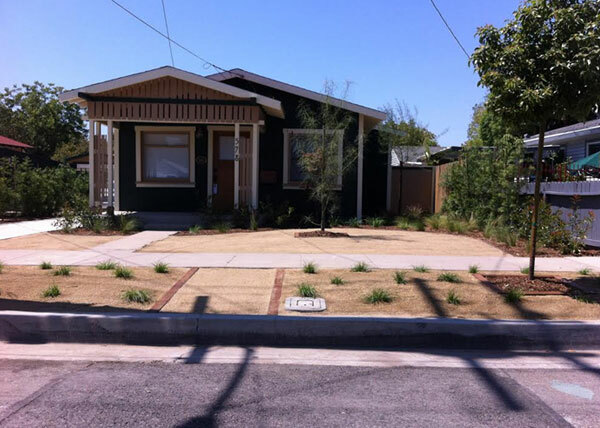 After preparing the soil, D F Landscape completed a sod installation and paver installation at this Orange, CA home. 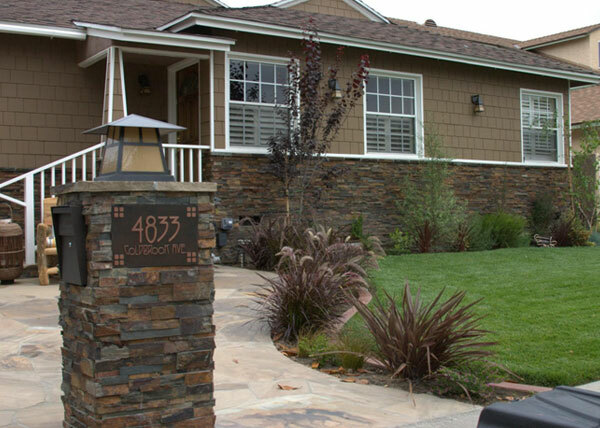 D F Landscape provided hardscaping, planting, and landscaping services to this Orange, CA residence. 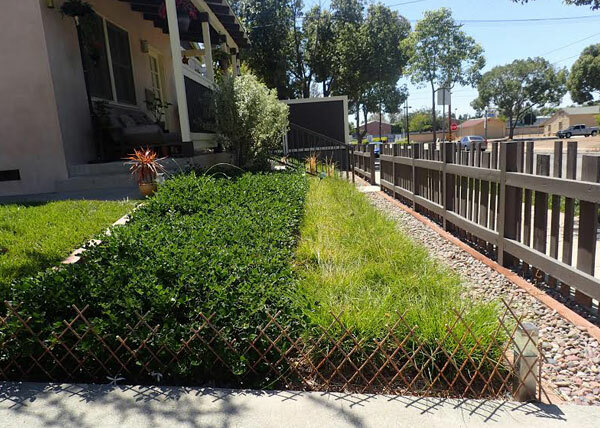 At this residence in Orange, CA, D F Landscape used staples to hold weed guard and drip lines in place then covered the weed guard with decomposed granite. 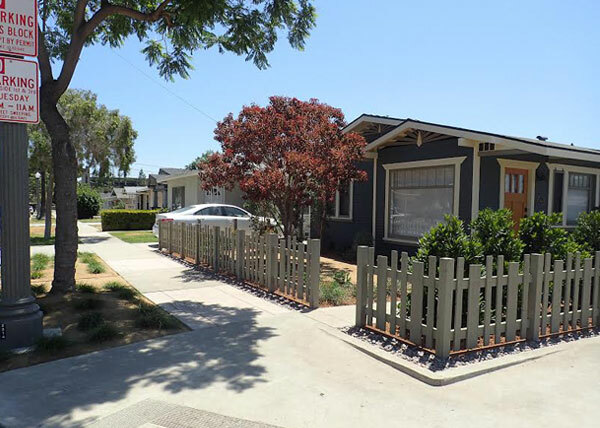 We provided our drought tolerant landscaping services to this Orange, CA residence. The backyard was planted with various agave and sticks on fire. 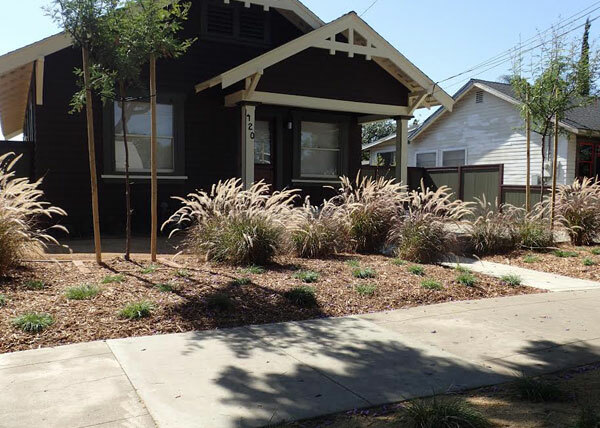 We planted purple hopseed at this home in Orange, CA. D F Landscape also used decomposed granite in the dog run. 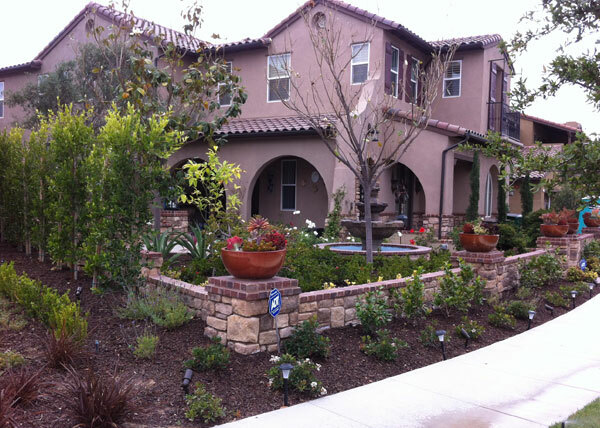 D F Landscape provided residential landscaping services to this home in Orange, CA. 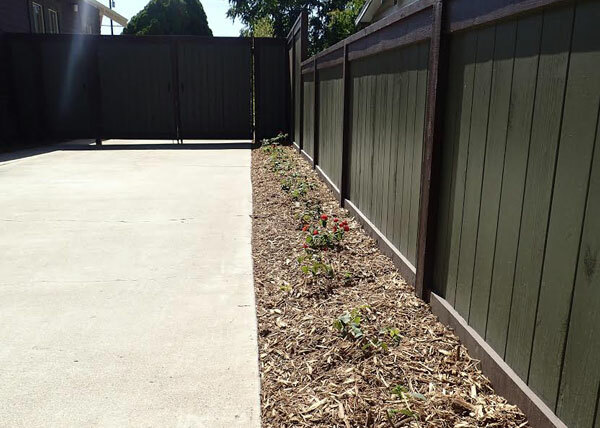 We added walk on bark and lantana to this homeowner's backyard. 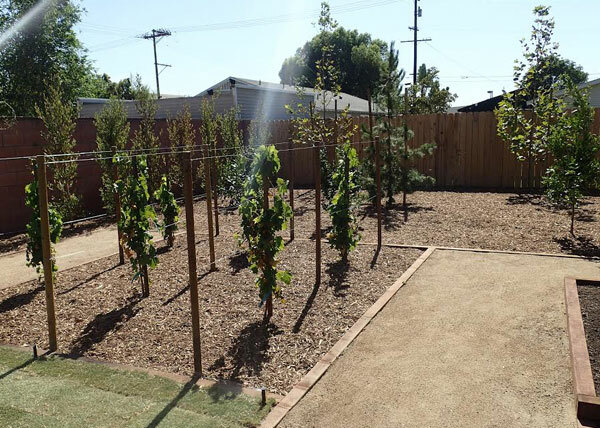 D F Landscape helped this Orange, CA homeowner maintain their backyard by creating a walkway, adding Bermuda sod, and planting grape vines, purple hopseed, and various fruit trees. 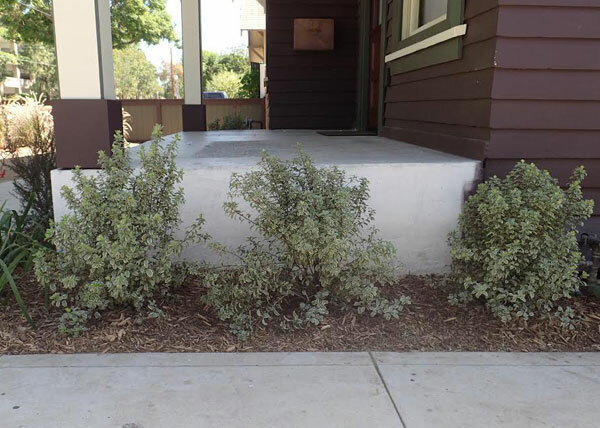 We planted shrubs near the front porch of this home in Orange, CA. 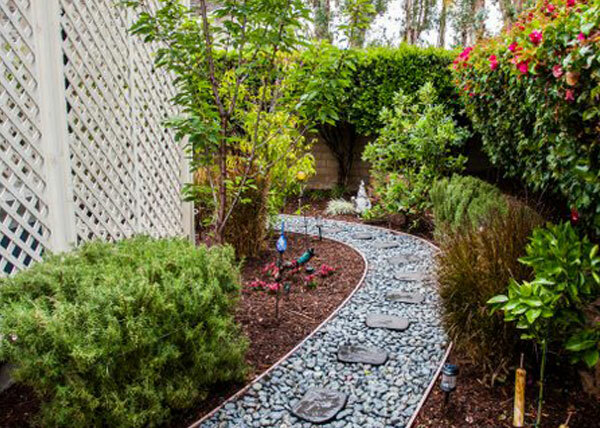 D F Landscape has helped many Orange County residents with their landscaping needs. Give us a call today to learn more. D F Landscape provided landscaping services to this Orange, CA residence. We installed Bermuda sod and used decomposed granite for walkways. All plants have direct irrigation systems and all planted areas are covered with weed guard, stakes, and walk on bark. 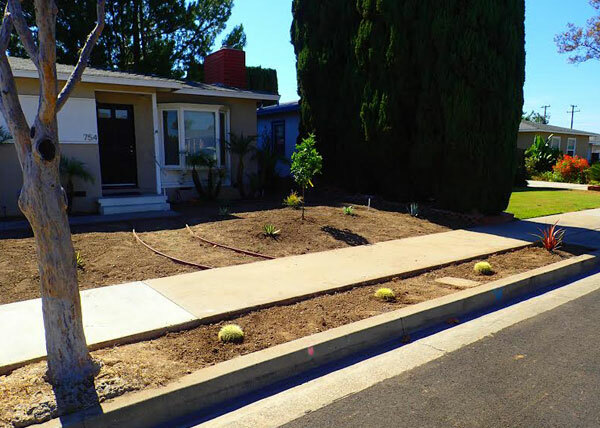 D F Landscape installed Bermuda sod and used decomposed granite for walkways at this home in Orange, CA. Direct irrigation systems were created for the plants and all planted areas are covered with weed guard, stakes, and walk on bark. Bark was added and Lantana was planted alongside this driveway. 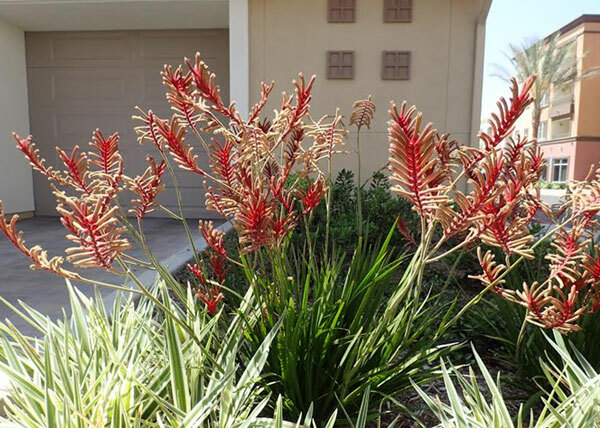 Call D F Landscape today to learn more about our residential landscaping services offered to Orange County. 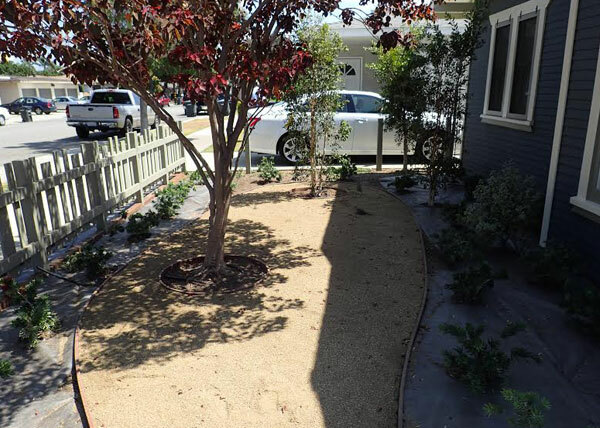 Using weed guard, staples, direct drip irrigation, decomposed granite and bark, D F Landscape created a drought tolerant-landscape in Orange, CA. 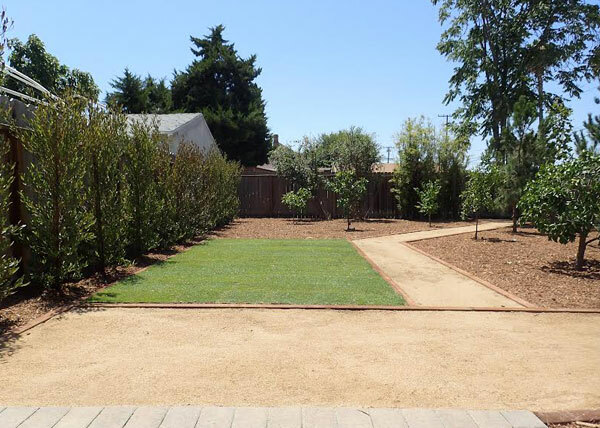 DF Landscape completed a lawn removal and replacement in Lake Forest, CA. 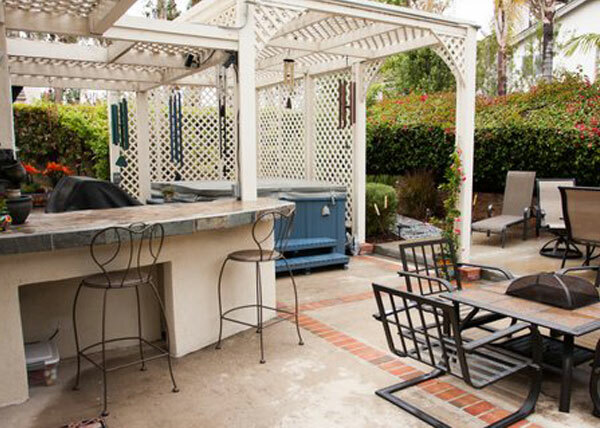 A barbeque and countertop were also installed and a new lattice added privacy to the spa area. We installed a patio cover during a hardscape project in Lake Forest, CA. 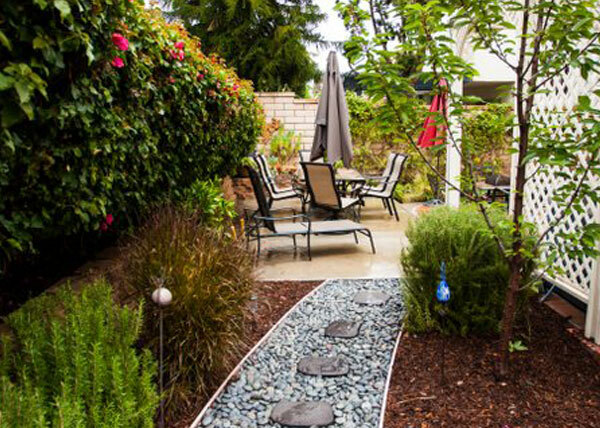 D F Landscape also created a Mexican pebble walkway with stepping stones and added native plants, fruit trees, and rosemary. 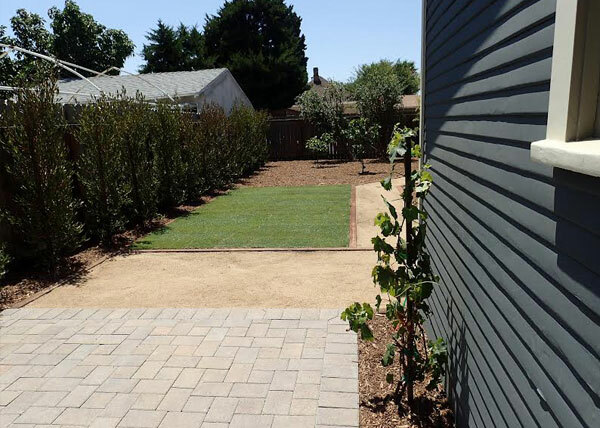 For this lawn removal and patio cover installation in Lake Forest, CA, D F Landscape added concrete and a walkway with stepping stones and Mexican pebble to complete this beautiful backyard. 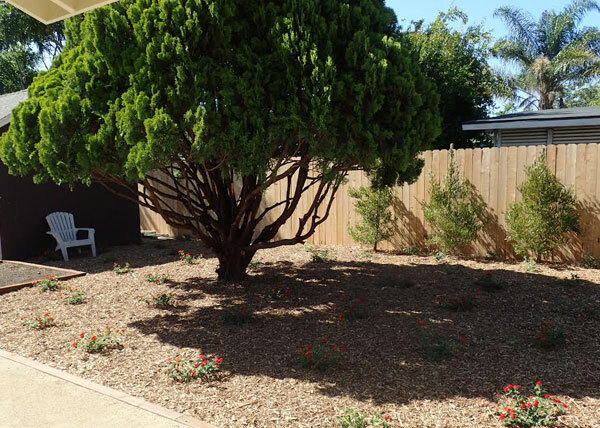 D F Landscape planted native and drought tolerant shrub in Irvine, CA. 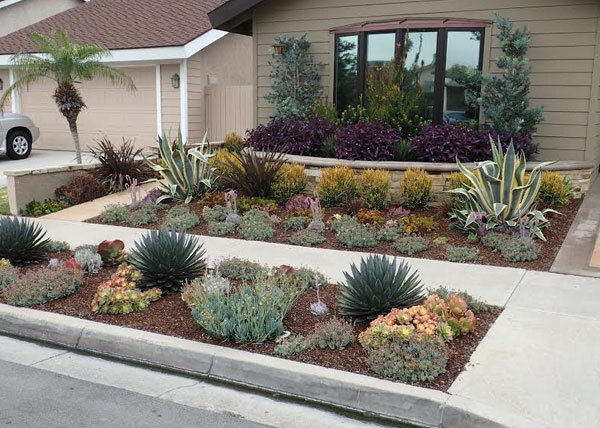 This drought tolerant landscape features yucca, agave attenuata, blue chalk sticks, and paddle cactus. There is no turf at this residence. 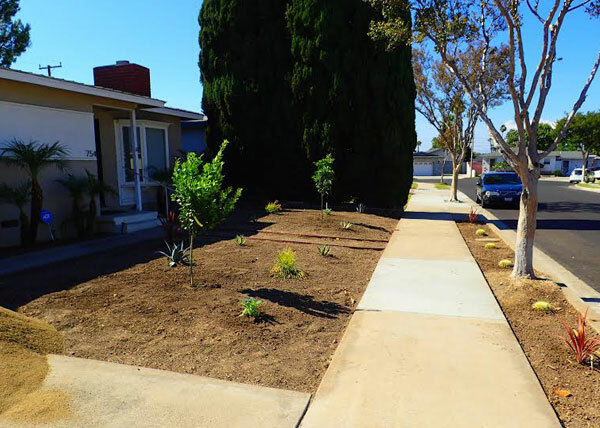 We created a residential drought tolerant landscape in Fullerton, CA. All plants have a direct drip irrigation system and all areas have weed guard, stakes, and bark, making it an extremely low maintenance garden. 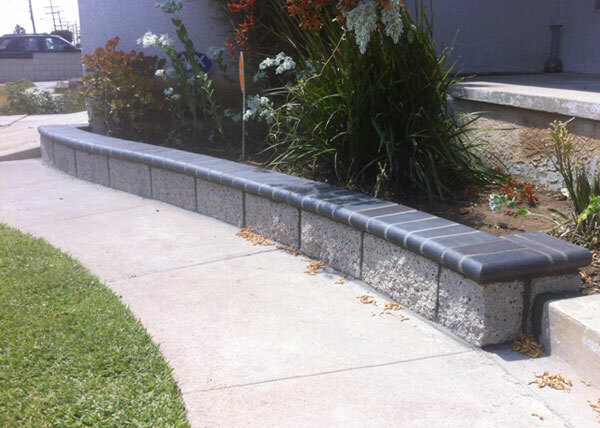 D F Landscape built walls and walkways for this drought tolerant garden in Irvine, CA. Our hardscape services include building walls, installing freestanding gazebos, creating walkways, and more. 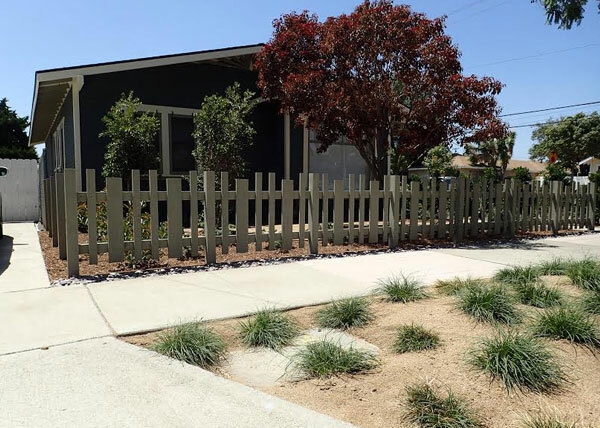 This low maintenance garden in Newport Beach, CA has been planted with dwarf bottle brush, paddle cactus, and blue chalk sticks. We installed weed guard and all plants have a direct drip irrigation system in place. 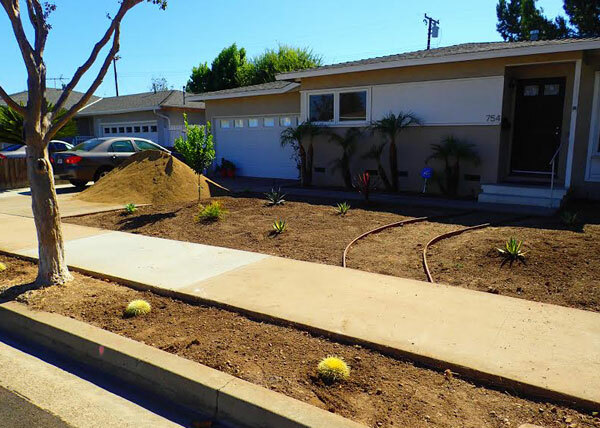 By planting cactus, hotlips shrub, and lantana, and using broken concrete for a planter, D F Landscape was able to install a low cost drought tolerant landscape at this Lake Forest, CA home. 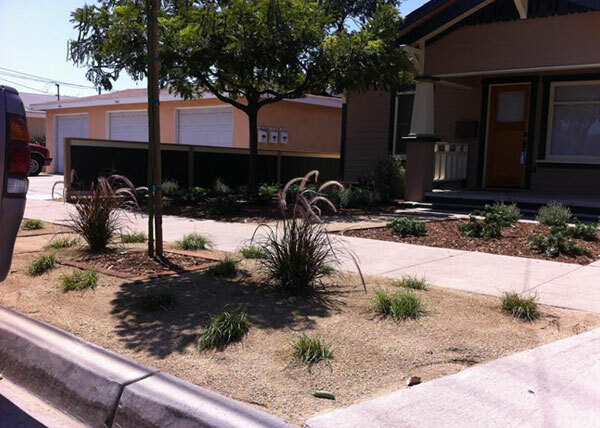 D F Landscape installed a low cost drought tolerant landscape in Lake Forest, CA. 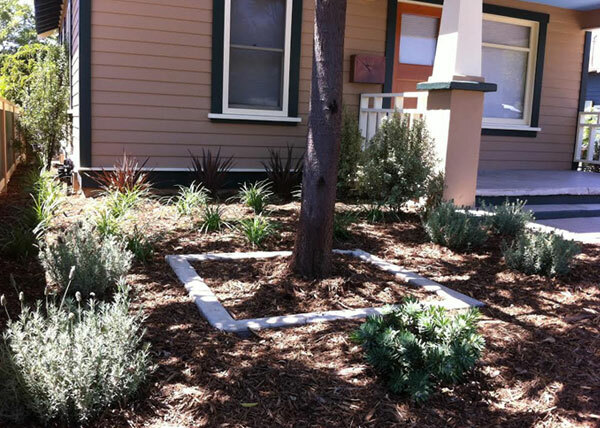 Our drought-resistant landscape services can help significantly reduce water consumption and save money on water bills. This is an in progress shot of a home in Orange, CA. 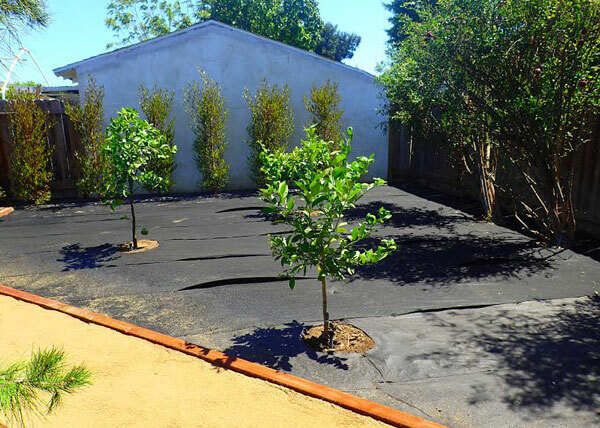 D F Landscape is preparing the soil, adding weedguard, planting, providing direct drip irrigation systems to all plants, and installing decomposed granite. 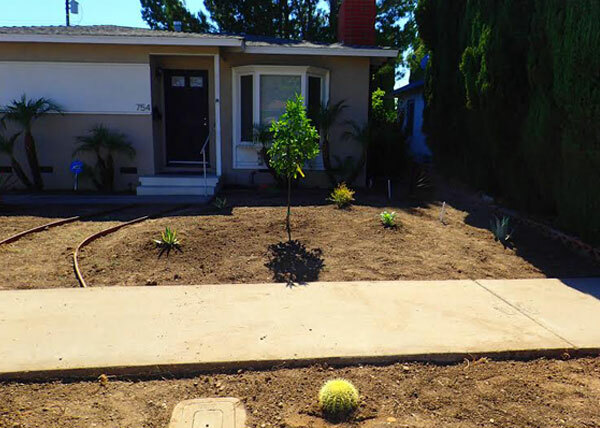 D F Landscape planted fruit trees, agave flax, barrel cactus, and sticks of fire to create a drought tolerant landscape in Orange, CA. Our full-service landscaping business can customize any of our landscape plans and services to meet your needs. 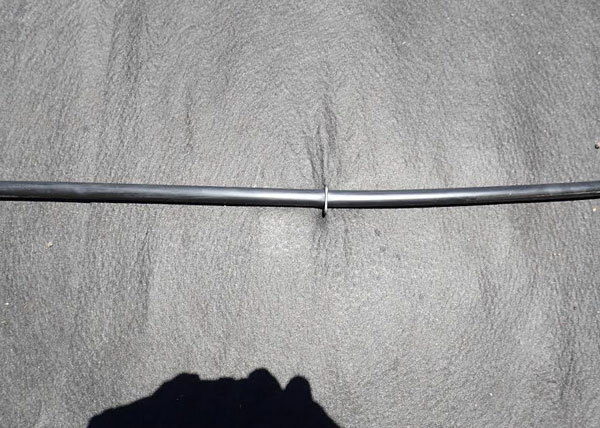 A staple holds a drip line in place at an Orange, CA residence. 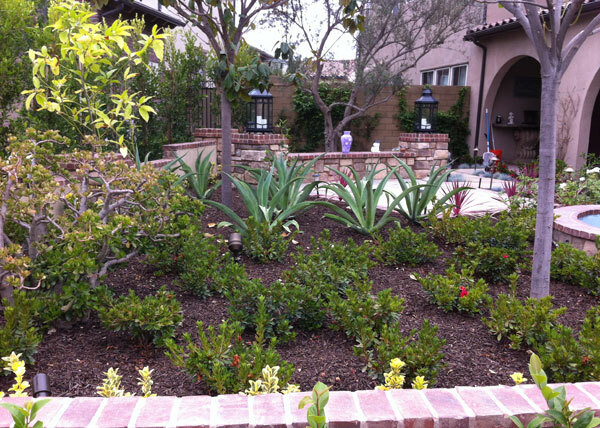 D F Landscape offers irrigation system installation and maintenance to all of Orange County. Give us a call to learn more on how these services can conserve water and save you money. 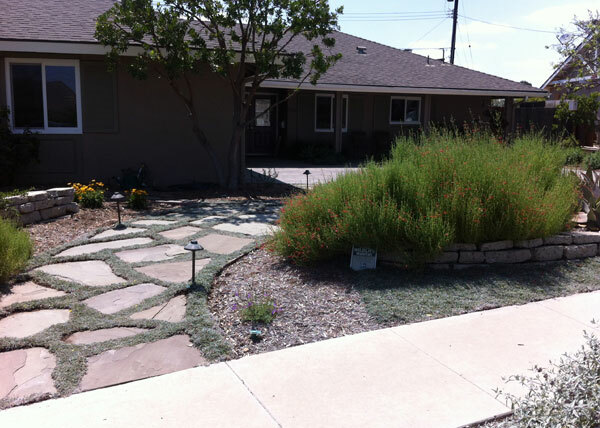 We provided this residence in Orange, CA with lawn replacement landscaping services. These included soil prep, weedguard, planting, and more. 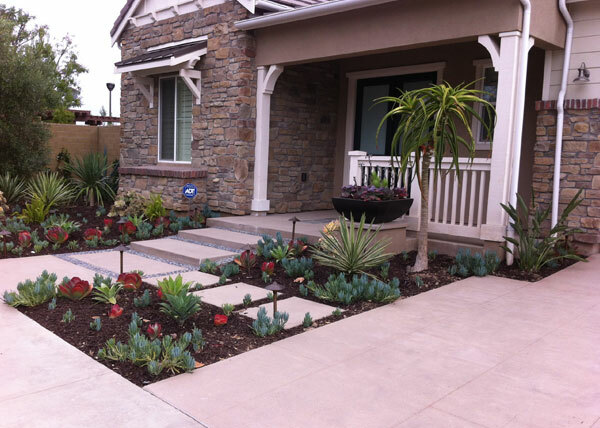 D F Landscape planted ice blue podocarpus, purple hopseed shrubs, and assorted agave and succulents at this Irvine, CA residence. 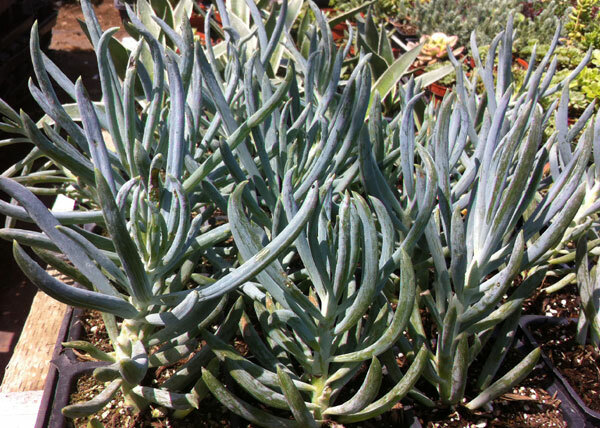 Drip lines provide these various drought tolerant plants with the small amount of water they need to survive. 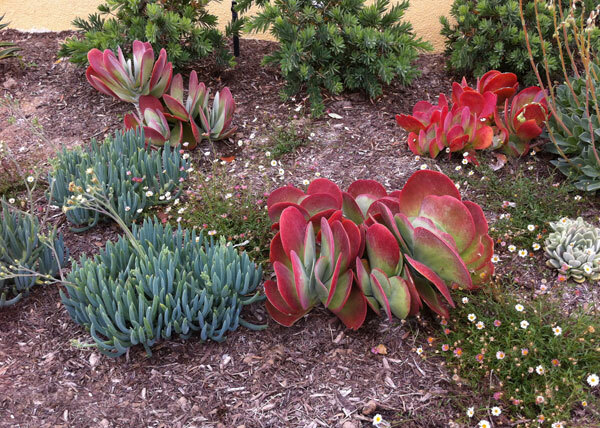 D F Landscape provides full-service and drought tolerant landscaping services to all of Orange County. D F Landscape provided landscape services to this Orange, CA home. We prepped the soil, stapled weed guard and direct drip lines, planted trees and shrubs, and added bark and decomposed granite to this yard. 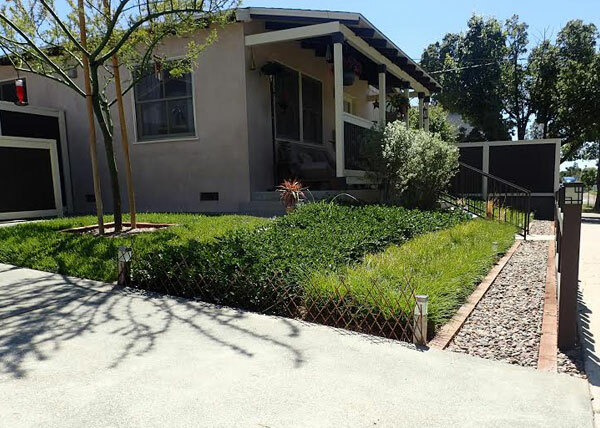 We completed a lawn replacement at this Orange, CA home. D F Landscape replaced the lawn in this backyard with decomposed granite. New stipa fruit trees were also planted. 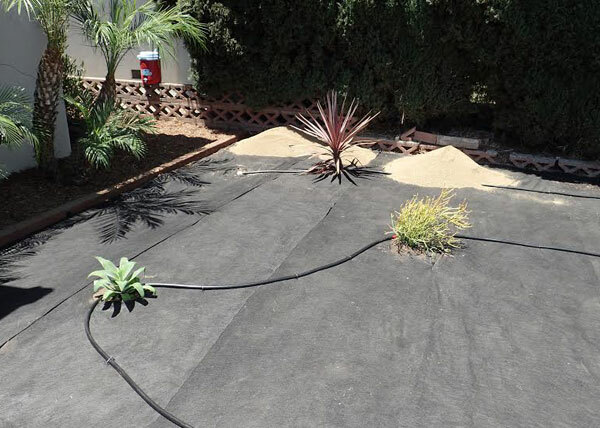 In Orange, CA we applied water-efficient direct drip irrigation techniques to create a drought-tolerant backyard that requires less maintenance and minimal fertilizing. 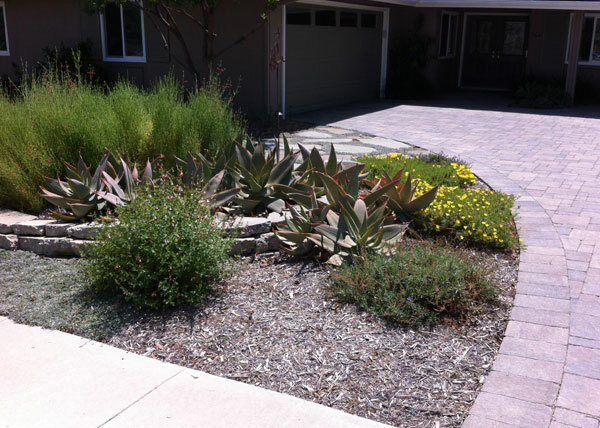 D F Landscape created a drought-tolerant backyard in Orange, CA. We planted pine trees and sycamore trees, then secured stakes and bubblers to each tree. 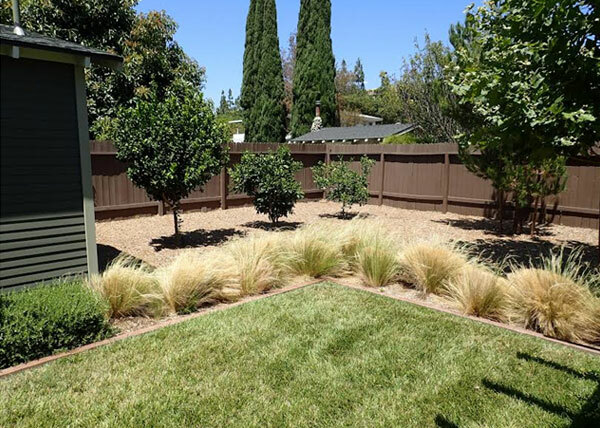 D F Landscape planted a small grass area and a Palo verde tree at this residence in Orange, CA. We also provided hardscape services to our client and created a rock path. 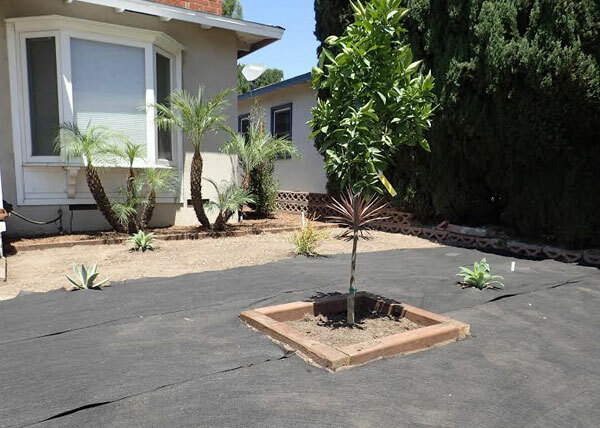 A Palo verde tree and a small grass area have been planted at this residence in Orange, CA. 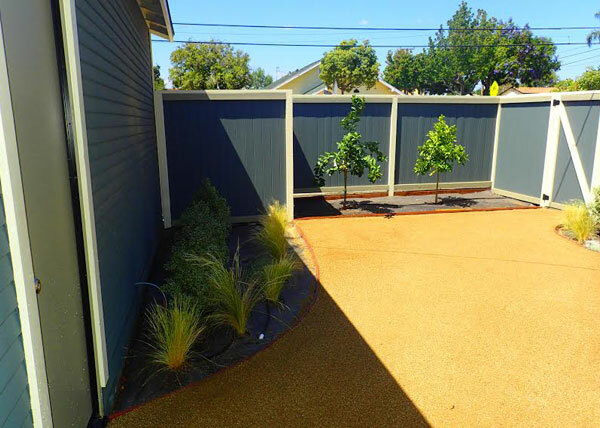 D F Landscape used natel plum and carex pansa as ground cover, and a rock path was created inside the fence. 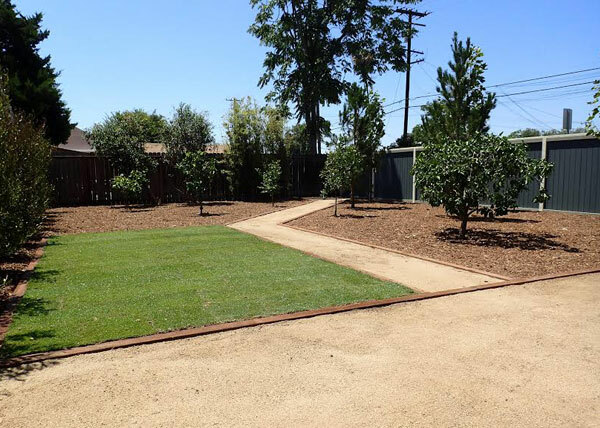 Using decomposed granite and bermuda sod, D F Landscape was able to create a new backyard for this home in Orange, CA. Grape vines and purple hopseed planted after soil preparation. 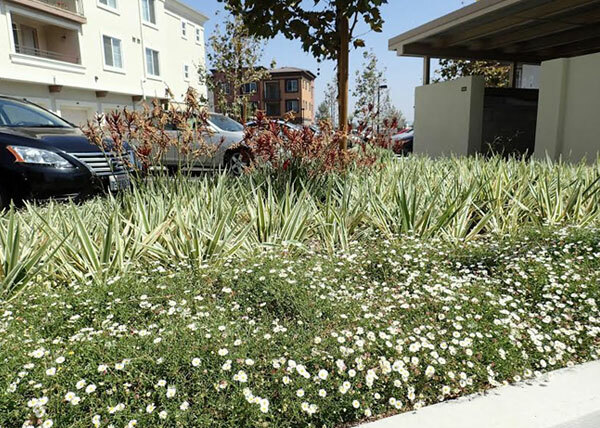 D F Landscape designed, planned, and implemented a water-saving landscape in Orange, CA. 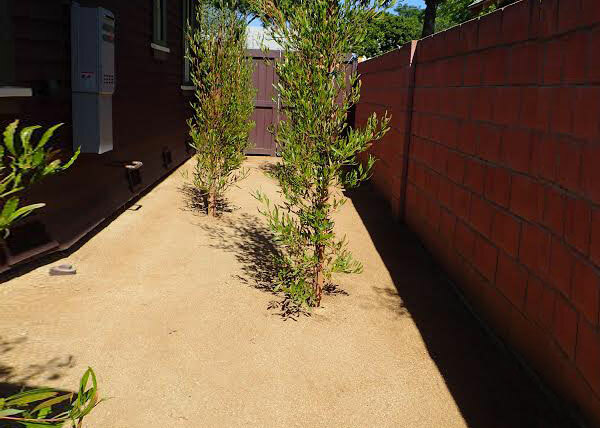 This new drought tolerant landscape features aciligita sun colis tree, dwarf melaleuca, dwarf bottle brush, and carex pansa. 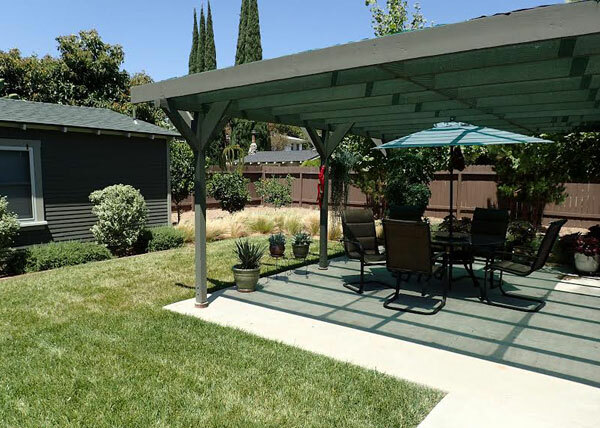 We provided this residence in Orange, CA with drought-resistant landscaping services. 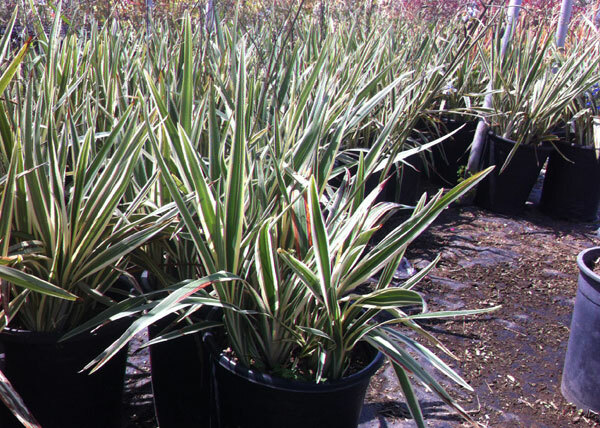 Our expert landscapers planted Mesquite trees, dwarf fountain grass, and carex pansa plants. Decomposed granite was used for some paths. 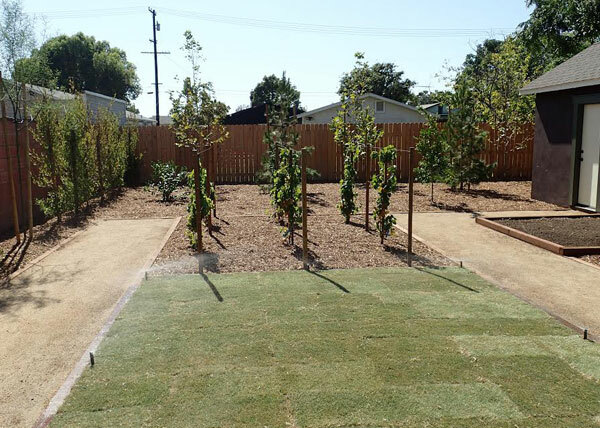 This new residential drought-resistant landscape in Orange, CA features decomposed granite and bermuda sod as well as grape vines and purple hopseed. 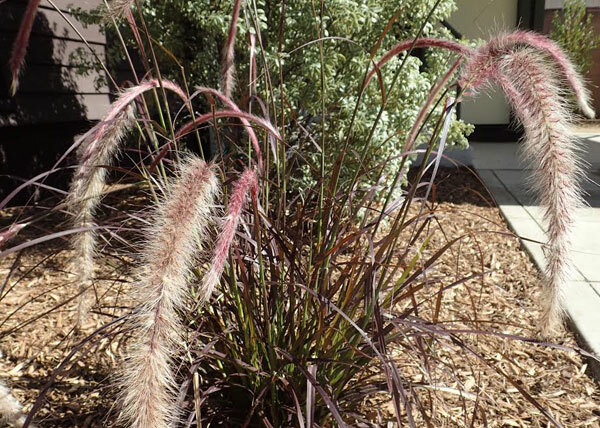 During this commercial landscaping project in Tustin, CA, D F Landscape completed an irrigation system installation and planted kangaroo pow and dianella tasmanica. 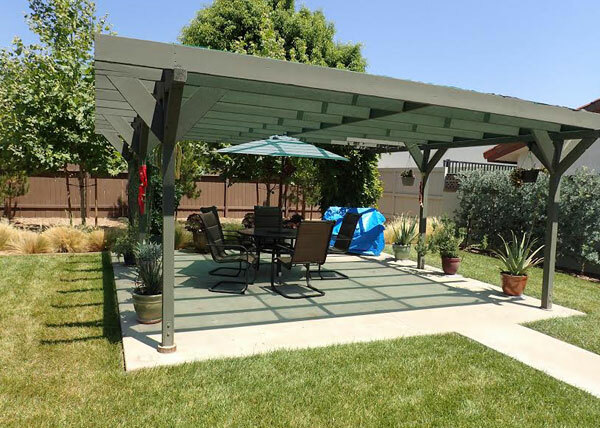 This patio cover installation in Orange, CA gave this backyard a fresh new look. D F Landscape also installed sod, weed guard, direct drip irrigation, and moisture-retaining bark to create a drought-resistant landscape. Fruit trees and stipa were planted by D F Landscape at this Orange, CA residence. Weed guard and direct drip irrigation lines were installed as well, and bark was used to provide ground cover. 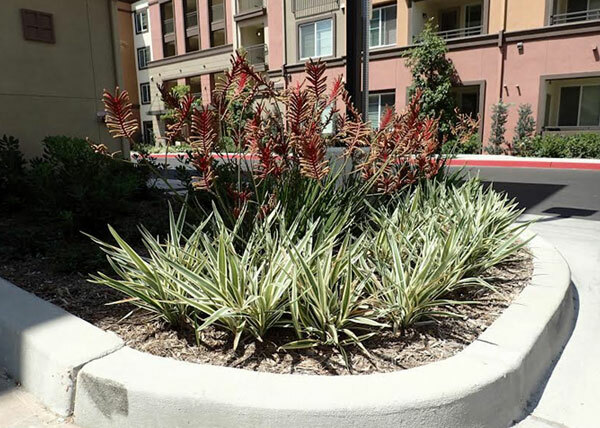 D F Landscape created a drought-resistant landscape solution in Tustin, CA for this commercial area. To learn more about our commercial landscaping services, give us a call today. 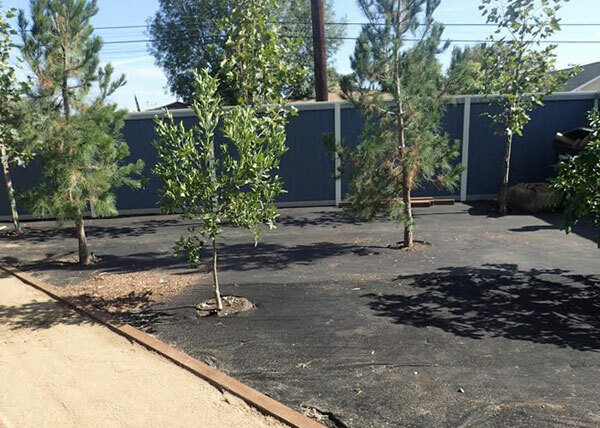 This residential turf removal in Fullerton, CA required us to add decomposed granite and plant champour palo verde trees to the property in order to create a more drought resistant landscape. D F Landscape completed a lawn removal in Orange, CA. 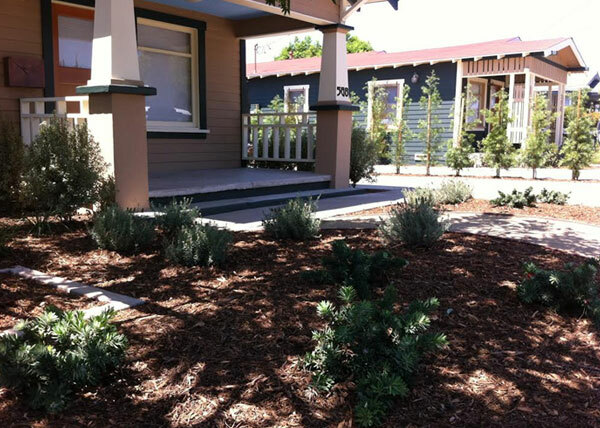 Our landscaping company also installed weed guard, added bark, and planted lavender and dwarf bottlebrush. 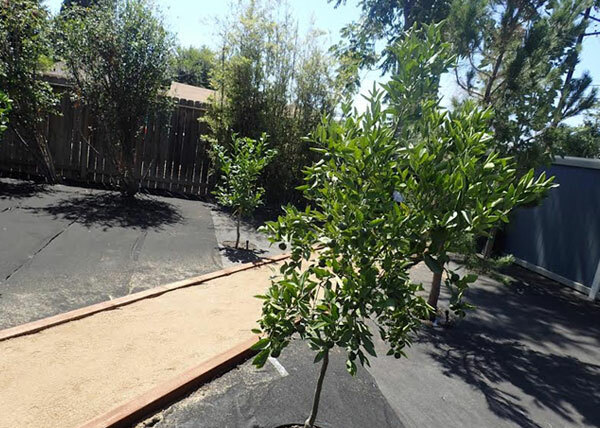 We installed a residential direct drip irrigation system in Orange, CA for all the trees and shrub at this home. 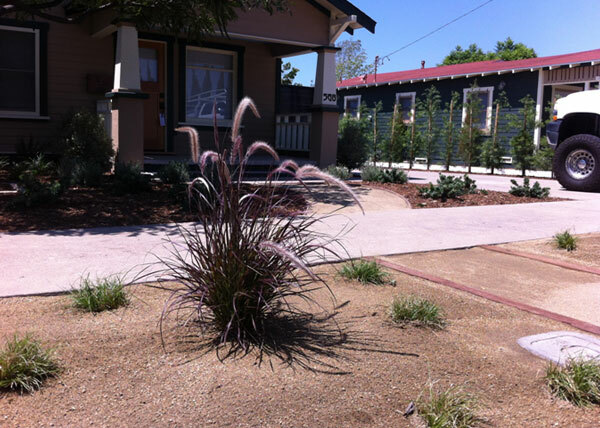 D F Landscape planted Mexican feather grass and Carex Pansa in the parkway at this home in Orange, CA. 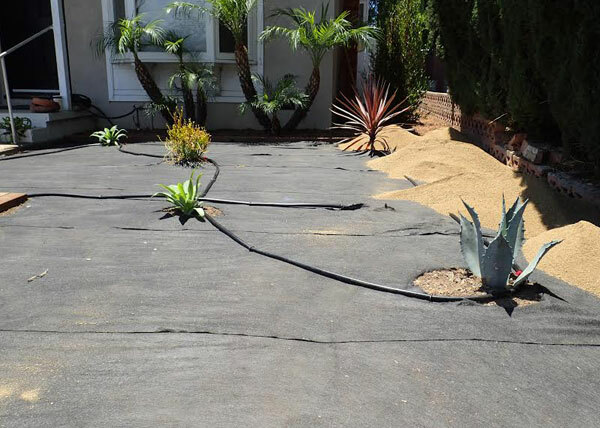 Decomposed granite was used to create a drought resistant landscape. We installed brick pavers and created columns during a hardscaping project at Hotel Catalina on Catalina Island. 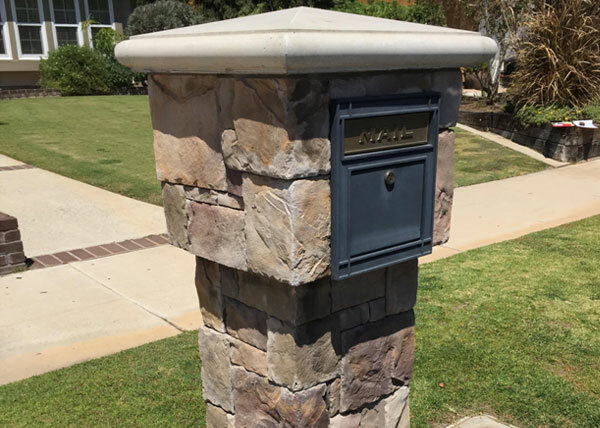 D F Landscape installed this stone mailbox in Orange, CA. The mailbox was made with European Castle stone. We installed this pilaster in Lakewood, CA during a residential hardscaping project. The pilaster was made with Ledgestone stone and Butternut Flagstone was installed leading up to the home's entrance. We built a small planter in Irvine, CA. 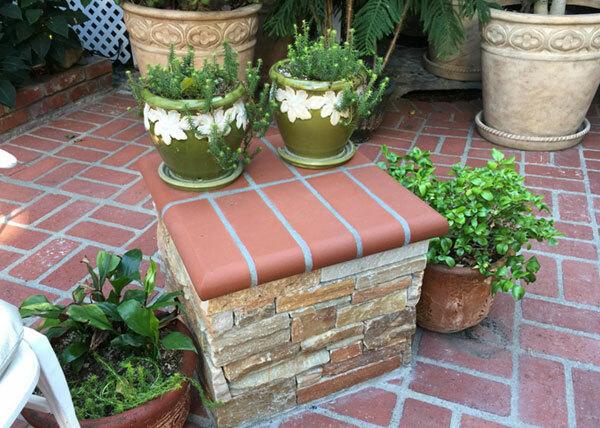 This planter was built using a split block and black brick. 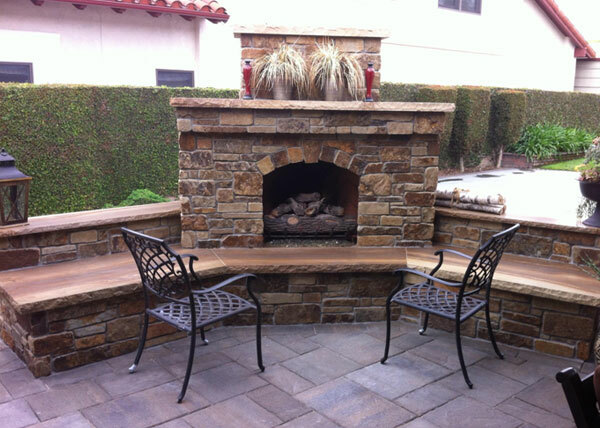 D F Landscape constructed this natural stone fireplace in Artesia, CA. 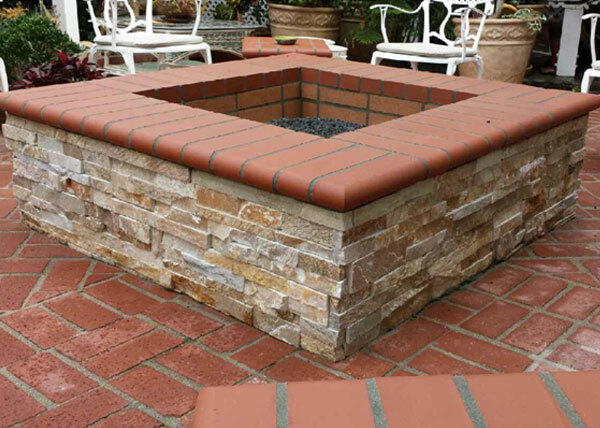 The fireplace features brent patio slabs. We built this fireplace with cultured stone and blue glass on Catalina Island. 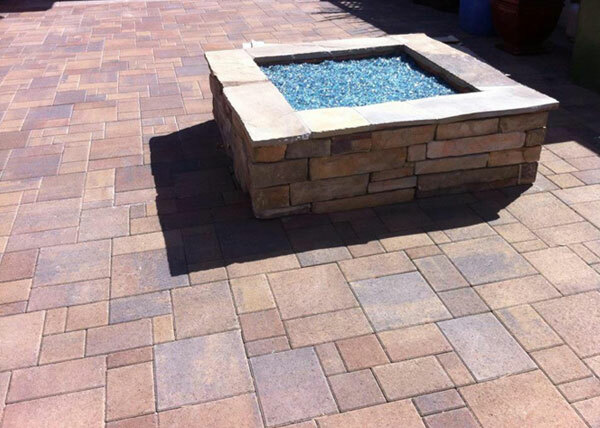 The patio features Belgard pavers. 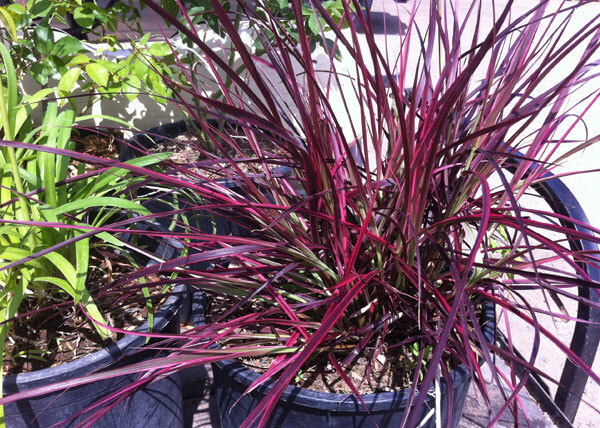 This kangaroo paw was planted during a commercial landscaping project in Tustin, CA. D F Landscape specializes in serving the landscaping needs of small- to mid-sized commercial properties and focuses on developing cost-effective landscape plans that are both functional and attractive. 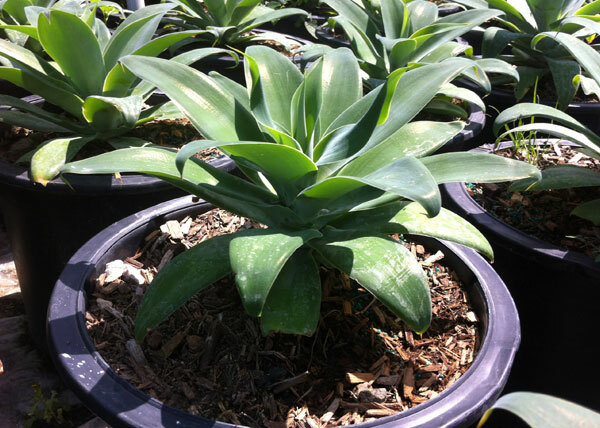 This residence in Orange, CA was planted with blue agave and agave attenuata. Weed guard and drip lines were held in place by staples, then covered by decomposed granite. I manage 100+ homes and use DF landscaping for weekly maintenace and full remodel projects. They always do an outstanding job. Richard (the owner) is honest, dependable, knowledgeable and professional. The crew is very hard working and always completes their tasks on time. I have referred DF and the outcome was beautiful. The homeowners were . . .